One of the first thoughts that came to mind after Motorola told us that they had partnered with Horween Leather to produce the leather used for the backs of the new Moto X (2nd gen) and the bands for the Moto 360, knowing that this is the company thats materials are in NFL footballs, was how they would figure out a way to tie-in this country’s most popular sport with their new flagship phone. Now we know. Well, sources told us about this a couple of months ago, so we can’t say we are exactly shocked. 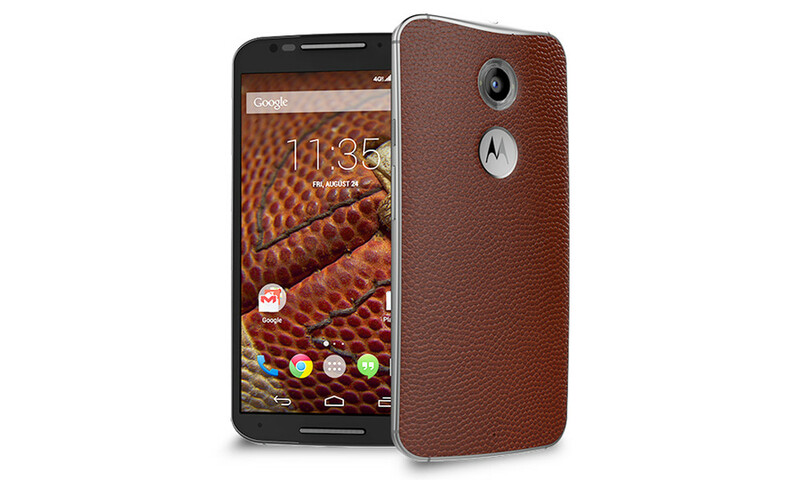 But yeah, the Moto X (2nd gen) now comes with an optional NFL leather backside. 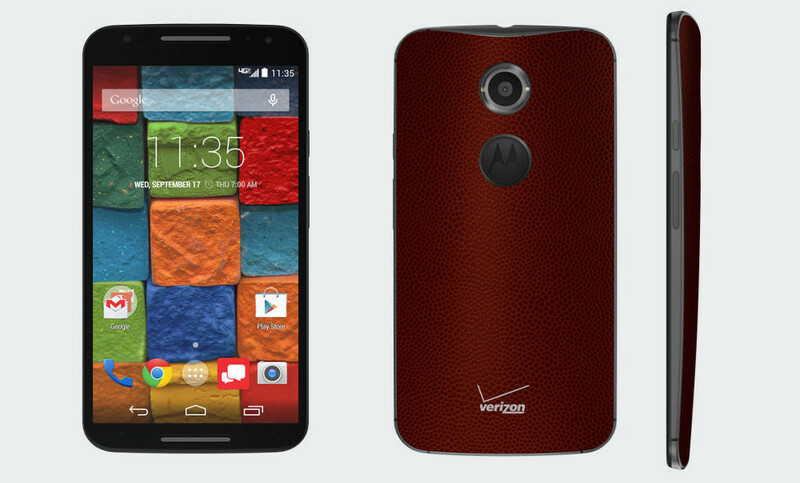 As in, your Moto X could be a football. The optional football leather back carries a bit of a premium, so Verizon is selling it at $119 on-contract, which is $20 higher than the standard black back. Nothing else is different about the phone internally. It still has a 5.2-inch FHD display, Snapdragon 801 processor, 2GB RAM, and 13MP camera. This version does come with a black front and dark metal rim, though, which also means that the Motorola disk-esque logo is dark. It’s not a bad look at all. Be sure to check out our Moto X review if you haven’t already. Update: Here is a better look at it.